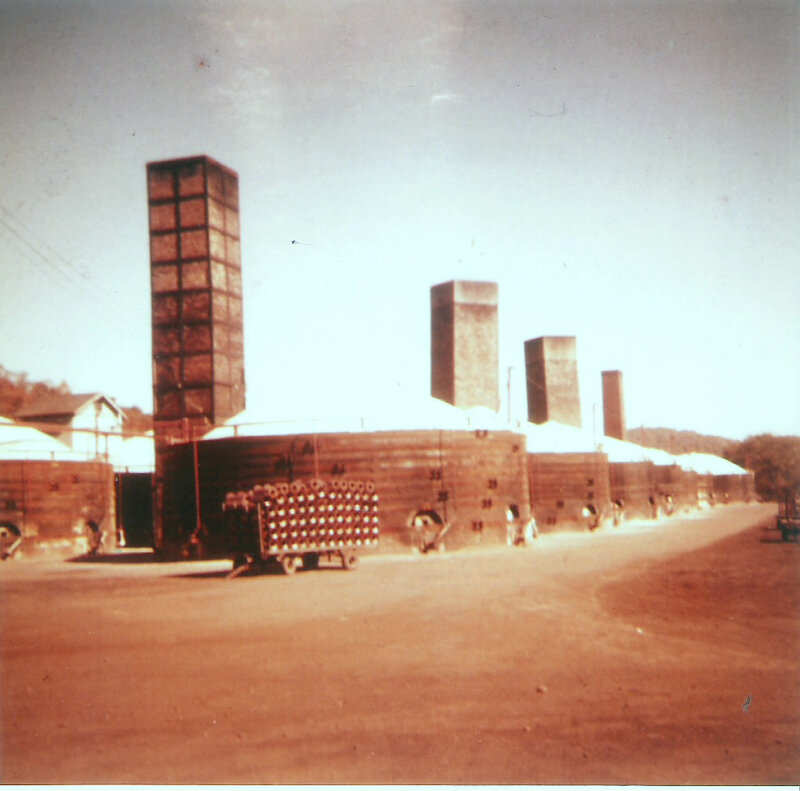 Kilns at the Universal No. 2 Clay Plant at Goshen. Laura Vesco Russell currently of Barnhill, remembers working for the Universal Sewer Pipe Plant #2, in Goshen during the 1940’s. She says she was able to work there because her husband Joseph Russell, also was employed. Russell remembers vividly John Weaver, who was her supervisor and a time she had to help out by working with 36″ pipe. Russell says she made 78 cents an hour there and missed her son Raymond while at work. She also has a daughter Jayne. Russell later worked at Weber’s IGA on East High St. New Philadelphia and was a realtor for Barnett Realty. She enjoys crafts and gardening. Until recently, Russell served as a village council member for Barnhill and was council president for a time. She also has been a Central Committee member for the Tuscarawas County Board of Elections. She is an active member of Sacred Heart Catholic Church, in New Philadelphia and resided in Wainwright for the first 13 years of her life. 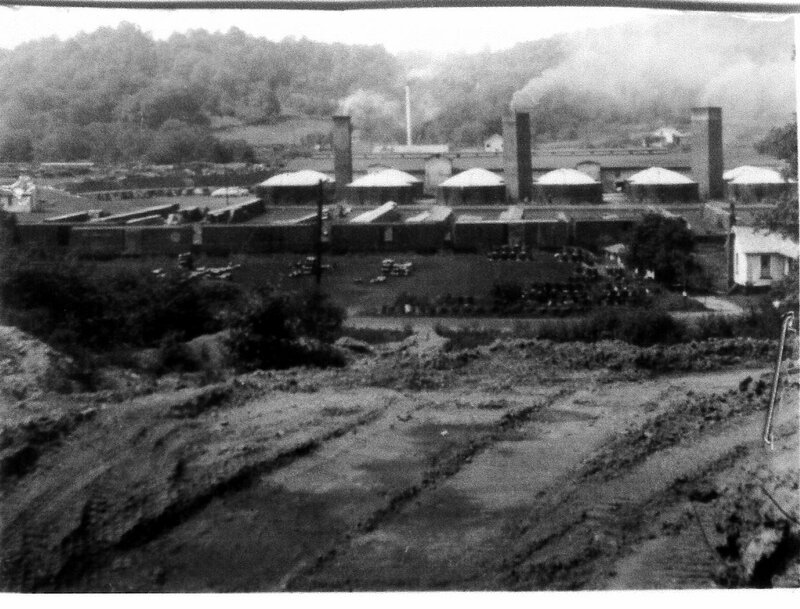 The Universal Sewer Pipe Corporation Plant #2 began its operations about 1920 and was located at the present site of the Skeeter Hollow Farm (owned by Mike and Dawn Smitley), which was formerly Cookson Industrial Site. The plant, which had 14 kilns, specialized in making vitrified clay pipe, flue lining and stove pipe in various sizes that were used by building supply dealers. Employees of the plant belonged to the 501 United Brick and Clay Workers Union. 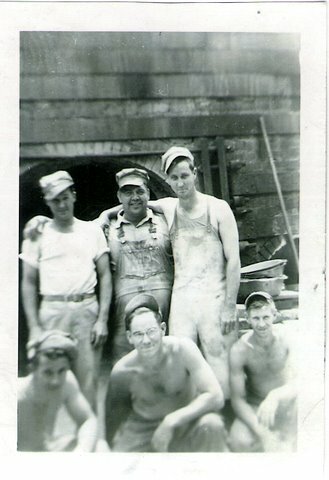 During World War II, while the men were serving in the military, 14 women worked in the sewer pipe plant including Roberta Warner, Fanny Swaldo, Emma Gervasi, Lena Richardson, Mary Kennedy, Betty Krocker, Alice Cooper and Ruth Trimmer.Floyd “Zeke” Davis was a recording secretbeary for the Local 501 in 1953 and recalls earning 68 cents an hour. ($5.44 a day) when he began working in the early 1940′s. Others who held office at the this time include President Adrian Rausch, Vice President Bernard Conklin and Treasurer Walter Hammon. The last union meeting was held in December of 1960. There were 73 members at the time of the plant’s closing. Francis “Foxy” Walton was the oldest man in terms of service for Plant #2 at that time. Davis still has some of the minutes recorded during the union meetings and read a portion of them at one of the Goshen Reunions. Read more on Page 8 of Recollections of a Community Part 1.an its operations about 1920 and was located at the present site of the Skeeter Hollow Farm (owned by Mike and Dawn Smitley), which was formerly Cookson Industrial Site. The plant, which had 14 kilns, specialized in making vitrified clay pipe, flue lining and stove pipe in various sizes that were used by building supply dealers. 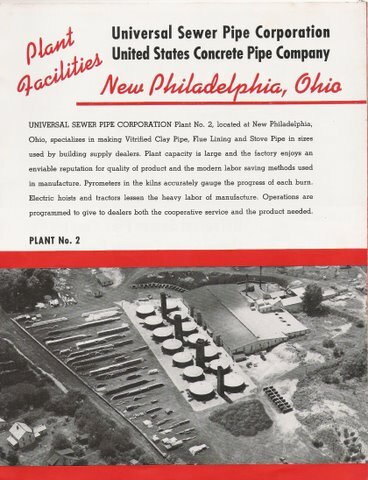 Employees of the plant belonged to the 501 United Brick and Clay Workers Union. During World War II, while the men were serving in the military, 14 women worked in the sewer pipe plant including Roberta Warner, Fanny Swaldo, Emma Gervasi, Lena Richardson, Mary Kennedy, Betty Krocker, Alice Cooper and Ruth Trimmer.